Purchase Packaging Quickly & Easily with Kwikpac’s New Buy Online Website & 25 Year Anniversary Launch Offer! Kwikpac Ltd have launched their new and improved Online Purchasing Website in their mission to provide their customers with a seamless purchasing & delivery service, upfront pricing & specialist packaging advice. Their new website has been launched in line with their 25 year anniversary, and has been designed to make it much easier to find the right packaging products for your company & to make a fast & secure purchase for next day UK delivery. To celebrate their 25 years in packaging & the website launch, Kwikpac are offering £10 off all new online packaging orders over £160, with larger discounts available on bulk orders! 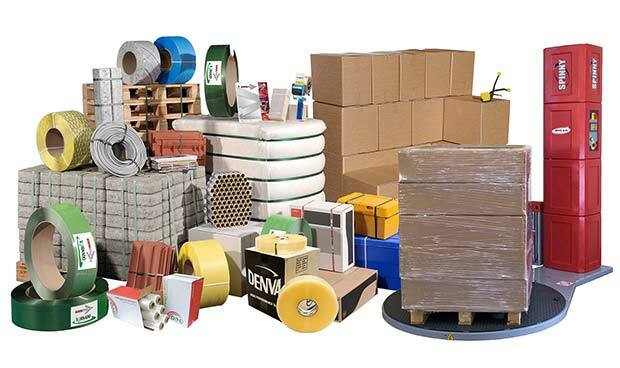 A huge selection of packaging products, ranging from boxes, bubble wrap, adhesive tapes and pallet wrap, to polyester, polypropylene & steel strapping, as well as strapping tools & packaging machinery. www.kwikpac.co.uk will be your one-stop-shop! Discover ways to improve your packaging processes & increase efficiency with their new Buying Guide. Each and every month, they will introduce a new packaging offer, to help their customers save more on their most popular products. For the month of November, they will be offering £10 off all new packaging orders over £160 AND free delivery! Kwikpac firmly believe in offering their customers an allround service, from advice on purchasing packaging & strapping tools and machinery to servicing, repairs & replacement parts. They have been supplying packaging tools, supplies and machinery since 1993 and regard themselves as specialists in the market, offering advice and support every step of the way. That includes providing packaging equipment, installation and service, as well as strapping tool repairs and spare parts for the packaging machinery which they sell on their website, as well as in their extensive catalogue. Within their workshop, their experienced engineers provide servicing and repairs for all major brands of strapping and packaging tools and they can also arrange a call-out to your premises for machine repairs and maintenance.